Statland & Katz offer a variety of life insurance products and services designed to meet the needs of you and your family, regardless of your stage in life. Term Insurance -- A type of life insurance in which the insurance company pays a specified sum if the insured dies during the coverage period. Term insurance includes no savings, cash values, borrowing power, or benefits at retirement. On the basis of cost, it is the least expensive insurance available, although policy prices can vary significantly among firms. Renewable term insurance offers coverage that can be renewed by the policyholder regardless of health. Cash Value Insurance -- Cash value life insurance has two components. One part of the premium is used to provide death benefits and the remainder is available to earn interest. Thus, cash-value life insurance is both a protection plan and a savings plan. These insurance policies entail a significantly higher premium than protection-only insurance and, depending on the issuer and the policy, may pay a relatively small return on savings compared with other investments. In the long haul cash value life insurance costs less than term insurance and can be kept in force until death. Term insurance ends after a specific period of time. Hence the name term insurance. 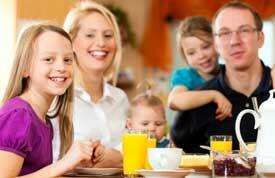 Cash value insurance is a part of most estate and financial plans. A whole life insurance policy, which lets the cash value of the policy accumulate depending on the return of the life insurance company’s investments in stocks, bonds, and other financial instruments. A variable life policy, which lets the policyholder choose the investments for the life insurance policy, selecting from a variety of mutual fund or other investment options. A universal life policy, which lets investors choose their investments among money market and Treasury securities; universal life policies were widely popular during the 1980s, when interest rates were high, but are less popular today.